The CRU Club, also known as Campus Crusade for Christ, is a religious organization for students to get involved with the community to discover and learn about the importance of the club at Frederick Community College. Group Members believe it is an excellent opportunity for young people to experience an environment, a way to acquaint and unite together as a unit rather than a scattered group of people. Stefany Quijano, a 23 year old nursing student and the president of the FCC’s CRU Club, leads this movement with students that seek to introduce Christ. Awhile back, Quijano did not really know where or who to turn to when she was abused at a young age. Growing up in a Christian home and going to church every Sunday morning didn’t quite help her to cope with this unfortunate incident, and she did not know how to forgive the perpetrator. Quijano became depressed and expressed thoughts of suicide and had poor self-esteem. “I just entered into this dark place of my life.” Quijano said. Later in her life, she heard about the CRU Club from a student at the University of Maryland Baltimore County, who was in the process of doing a mission trip on behalf of the CRU ministry. Quijano decided to attend the meetings and fell in love with the idea of helping young people learn and know about God. Quijano has continued this mission and got her FCC friends from church involved in the group; this allows her to better communicate with people. According to CRU’s website, the club is one of the world’s largest Christian mission organizations, comprised with over 2,000 college campuses in the Unites States, along with 5,300 universities worldwide. Quijano pointed out that moving to college is a big deal for students, learning their way around the school, adjusting to a diverse environment, making lots of decisions and even coming across some temptations. Starting the college transition with a Christ-centered community, and getting involved with a student-led movement that seeks to introduce others to God along with helping them to grow in their faith, by encouraging them to live life full of Christ’s examples. “Get to experience the true and meaningful relationships with students, connecting with those, growing stronger in the faith, and building long lasting friendships along the way,” Quijano said. “It is all just fun and a supportive community,” Quijano said. 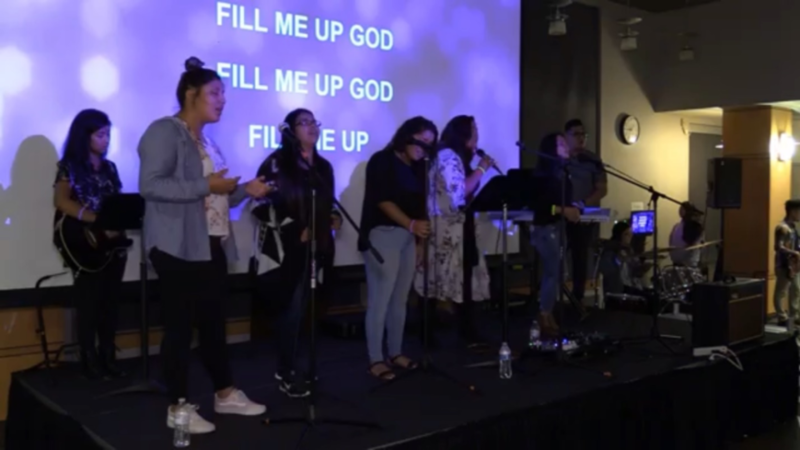 More than 20 students are involved with the Cru club, and it is growing, said Pierina Carrion, one of the worship leaders at the club, which meets every Monday from 3:30-4:30pm. Originally from Peru, and majoring in psychology, this is her last year at FCC. “One of my favorite things to do while being a part of the CRU ministry is to learn each section of the Bible every week, and to play music for the club.” Carrion said. The Club plans to partake in mission trips across the states, local events, concerts at schools, and even gatherings outside of FCC.